Life is full of Choices. The Colts didn't disrespect the nation but the 49ers, did. (They're a San Francisco team from a sanctuary state. It's what they do.) Vice President Pence, his wife and his Secret Service detail left the game. 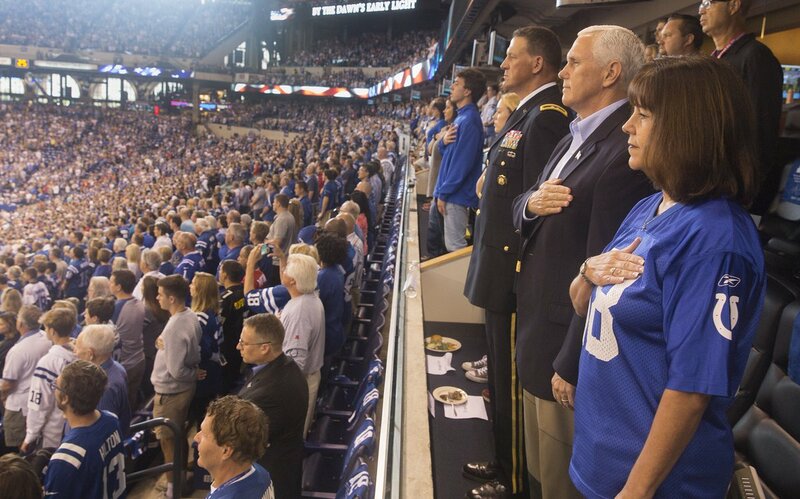 Washington Times Vice President Mike Pence walked out of Sunday’s NFL game in Indianapolis after several San Francisco 49ers players took a knee during the national anthem. I applaud Vice President Pence for his integrity and for sticking to his values. You'll note that everyone stood for the National Anthem except for a few a few multi-millionaires from San Francisco. Life offers us only two things - time and the choice of how to spend it.